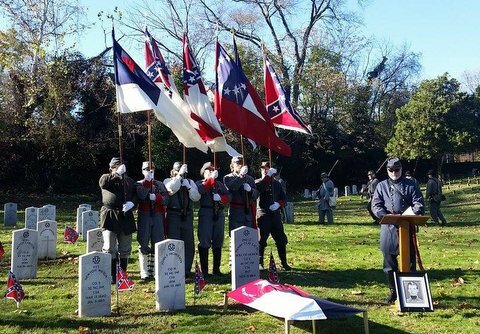 Today members of the Edmund Ruffin Fire Eaters dedicated two headstone in Hollywood Cemetery. The service was attended by 50-70 compatriot. The Edmund Ruffin Fire Eaters were represented at several Veteran’s Day services. 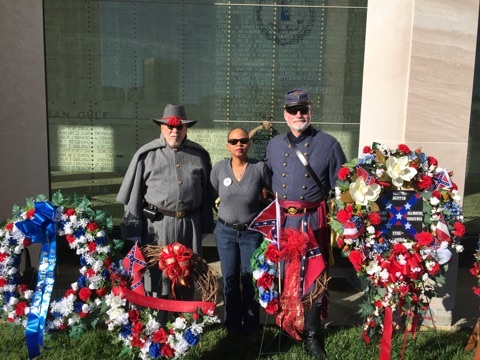 Commander Creech attended the service at the Virginia War Memorial and Huguenot Springs Cemetery. 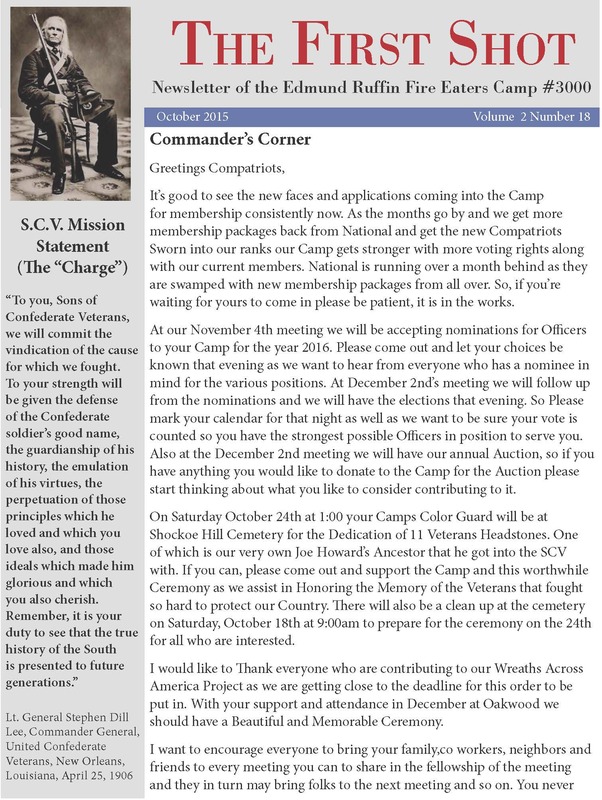 The October edition of the First Shot is now available. 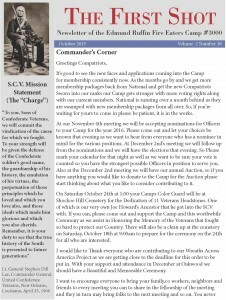 Download Your Copy Here!